Thursday, October 30 - 7 P.M.
Eau'rageuses was created in 2013, shortly after the four women musicians met. The foundation of the group was laid by Catarina and Lori in 2012, during the first "Elles Résistent" ("Women Resisting") festival. One is a singer and actress, the other, a guitarist, bassist and vocalist. 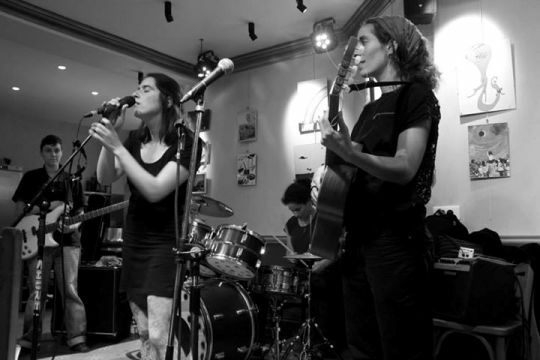 Soon after, Ariadine, a drummer, joined the duo. Then came bassist and slammer Eli. So began Eau'rageuses - a name that proudly proclaims the quartet's political commitment, as well as its celebration of women's strength, energy and creativity. What makes the group so unusual is that it was born of an encounter between four different musical and artistic worlds. 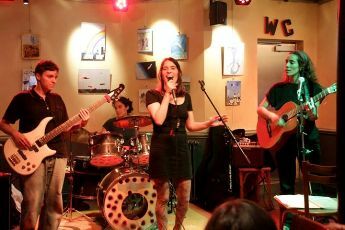 Eau'rageuses offers music that is feminist, rebellious, poetical and sometimes dramatic; one in which styles ranging from bossa nova and jazz, blues and slam intersect.